The Comanches were fierce warriors who lived on the Southern Plains. 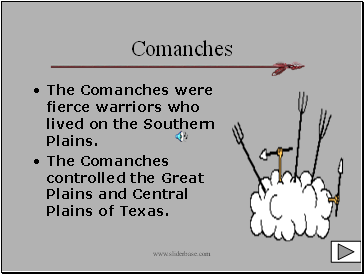 The Comanches controlled the Great Plains and Central Plains of Texas. 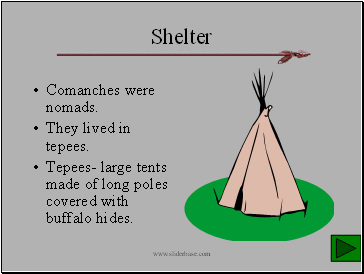 Tepees- large tents made of long poles covered with buffalo hides. 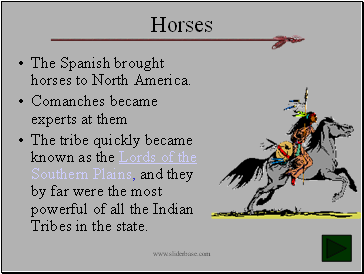 The Spanish brought horses to North America. The tribe quickly became known as the Lords of the Southern Plains, and they by far were the most powerful of all the Indian Tribes in the state. 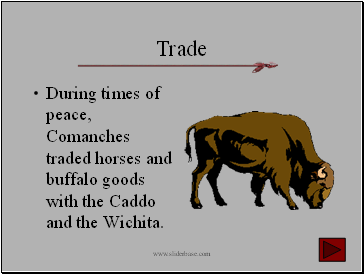 During times of peace, Comanches traded horses and buffalo goods with the Caddo and the Wichita. 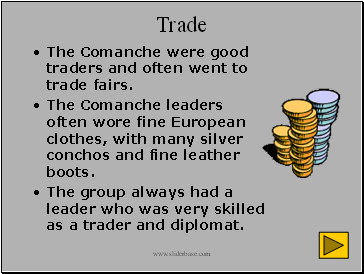 The Comanche were good traders and often went to trade fairs. The Comanche leaders often wore fine European clothes, with many silver conchos and fine leather boots. The group always had a leader who was very skilled as a trader and diplomat. 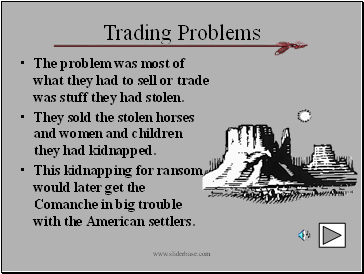 The problem was most of what they had to sell or trade was stuff they had stolen. They sold the stolen horses and women and children they had kidnapped. This kidnapping for ransom would later get the Comanche in big trouble with the American settlers. 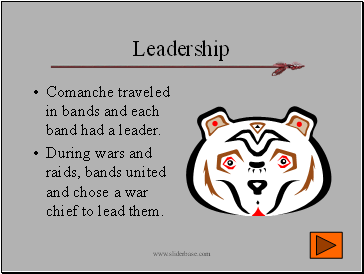 Comanche traveled in bands and each band had a leader. During wars and raids, bands united and chose a war chief to lead them. 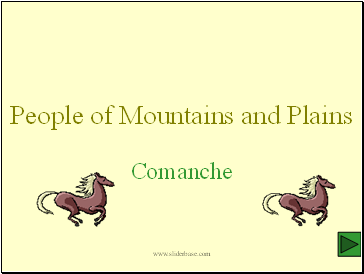 By 1875 Comanches no longer controlled the plains. 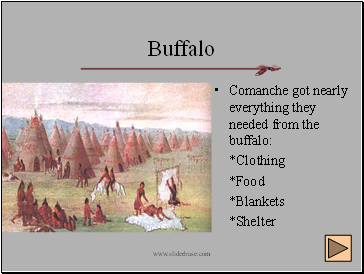 Most Comanches were moved to a reservation in Oklahoma. 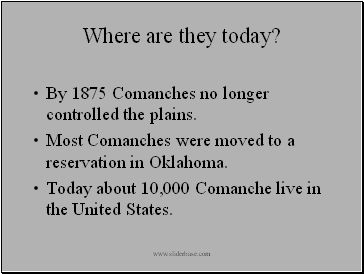 Today about 10,000 Comanche live in the United States.